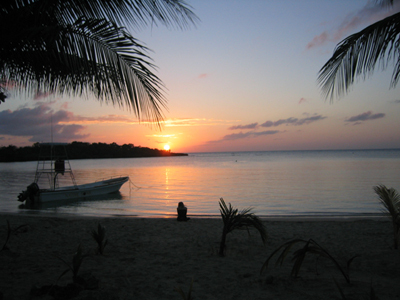 The Roatán Volunteer Pediatric Clinic (RVPC) is a project of Global Healing, a U.S. registered 501(c)(3). 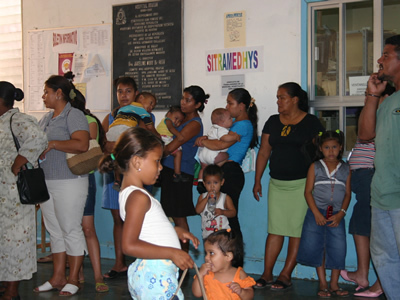 We work with local Honduran physicians, nurses, pharmacists and laboratorians in the public sector to deliver top-notch medical care to newborns and children. This is done by sending American medical professionals, hosting trainings and implementing appropriate technologies in the public sector. 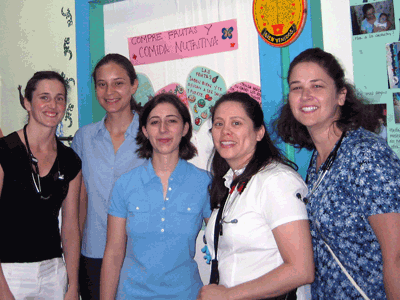 This process has allowed for porous, cross-cultural exchange between Honduran and American medical professionals and poised us to expand our reach beyond the walls of the hospital. Learn more about Global Healing! Global Healing is working with professionals from the schools of dentistry, pharmacy, nursing and medicine from the University of California, San Francisco, Medic Mobile and the University of California, Berkeley School of Public Health to implement an island-wide program that leverages the power of mobile phones to improve health outcomes for mothers, babies and families. Stay tuned for more information.